Anthology filled with interesting tales, muddled by uninspiring execution. "Zoo" is a collection of unique stories taken from the collection of the same name by αuthor Hirotaka Adachi, better know by his pen name of "Otsuichi". Working with five different directors, the film showcases five different stories that vary in style, covering various themes while staying steeped in horror and tragedy. 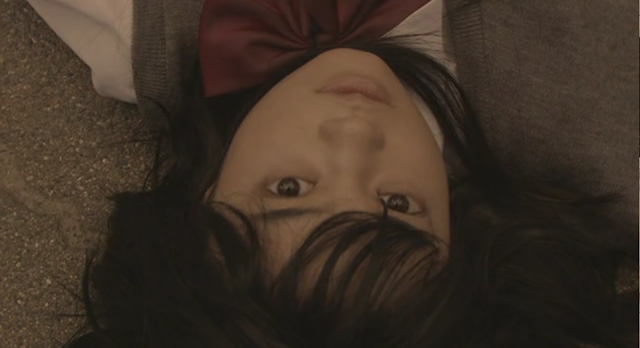 The film opens with the short "Kazari and Yoko" a story of a young girl who is horribly abused, while her sister is put on a pedestal. Living off table scraps and sleeping on the floor, Kazari has accepted her existence and believes that she is inferior to her adored sister and deserves her punishment. It isn't until she befriends an older woman that Kazari begins to gain some confidence from the woman's encouraging words. It is with this confidence that Kazari is able to make a drastic change in her home life. In "Seven Rooms" a teenage girl and her younger brother wake up in a cell which contains a narrow underwater passage that the young boy is able to swim through and explore the other rooms. The siblings learn that there are seven rooms which contain other captives, which are being executed after six days of confinement. With this knowledge and young boys' ability to communicate with the other captives, they plan an escape. The third segment titled "So-Far" has a young boy thrust into a confusing role as his mother and father convince him that the other parent has died in a car crash. With the husband and wife unable to communicate to each other they use the young boy to pass on spiteful messages until he is too mentally and physically exhausted to continue, and decides he has to let one of them go. The final two shorts "When the Sun Shines" and "Zoo" vary from the first three. "When the Sun Shines" is the shortest segment and is animated.It tells the story of an android being brought to life and struggling to understand it's purpose and the emotions it was programmed with. "Zoo" has a more simple concept as a man reflects on a murder he committed, by taking pictures of the rotting corpse every day. The story is told through flashbacks which begin to blur the lines between reality and fantasy. The visuals in "Zoo" seem a bit at odds with themselves. With the first three shorts being pretty identical in style, even using a similar score, this leaves one with the impression that the first three segments were done by the same director/team. There is a sharp shift in style for the fourth entry "When The Sun Shines", It is never really a smooth shift when you switch mediums going from live action to animated and it seldom succeeds. This is further made worse by the dated visuals, despite the fact that they don't look too bad, since CG anime has come a long way since 2005 and this short is a reminder of how far that medium has progressed. However, this segment is short and packs a nice sentimental touch, and if you can get over the graphics, it is a strong entry. 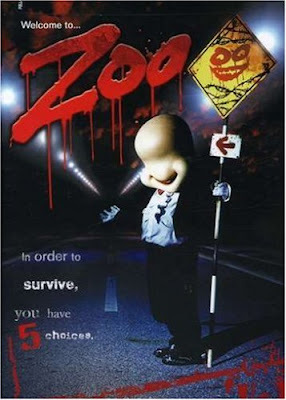 The titular short "Zoo" has a more thematic feel compared to the first three which share the production value of a mad- for-TV film. However, this does not make the segment stand out as superior to the other entries, just different in execution. The strength in the series lies in the storytelling and successful execution of adapting the original work, with the possible exception of "SO-far", whose ultimate message seems kind of confusing and I did not appreciate the misdirection they threw in the story. I can see a lot of people being frustrated by this particular segment. The acting is passable, everyone does a decent job, but no actor gives a stand out performance. Unfortunately, the same can be said for the directors of each short, with the first three being very similar in their execution. This is reflected in the fact that the cast and crew have done little to no work outside of this production. This makes "Zoo" more of a focus on the source material than a showcase for the actors or directors involved. Ultimately, these performances will probably keep this film from notoriety for those who hold the anthology format in high regard. The lackluster performances are a major deterrent and when considering which segments I preferred more, it came down to the stories and ideas presented, with little consideration of the technical aspects. The anthology format does not have so much success in the east compared to its western counterparts, with only a few titles from Japan coming to mind as being exceptional, which makes "Zoo" a notable film just given it is successful in its execution of the sub-genre. Although it does have a stand out in "Seven Rooms" and a bit of a dud in "SO-far", it still stays consistent and no short drags down the production as a whole. The stories felt original and contain a lot of unique concepts I have not come across in anthology films, a format which can, at times, feel recycled and unoriginal in its execution. With a runtime of approximately two hours, the last two entries could have easily been cut to still achieve a theatrical runtime and produce a more consistent product. But if you look at the last two segments as just bonuses and a chance to see more of author Otsuichi's work getting an adaptation, the long runtime becomes more palatable. In spite of its shortcomings, "Zoo" still manages to deliver with some interesting tales that should appeal to fans of horror, drama and the anthology films.